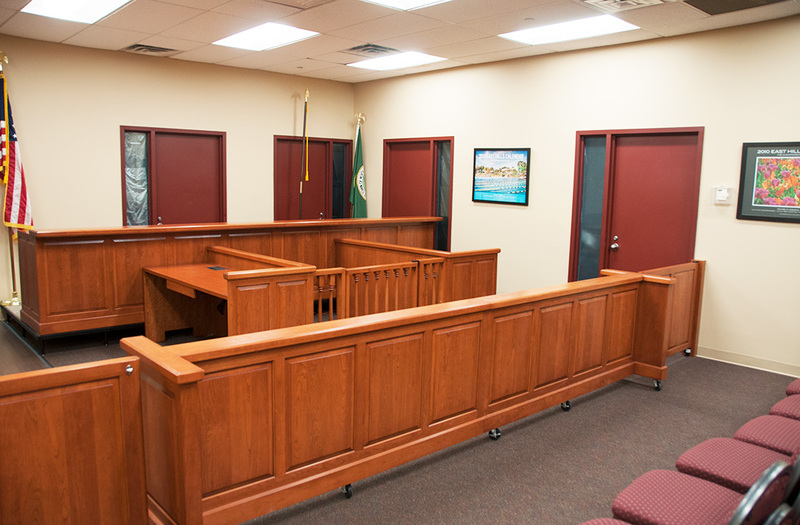 A frequent feature of courtrooms is a rail or divider to separate the public area from the actual courtroom. 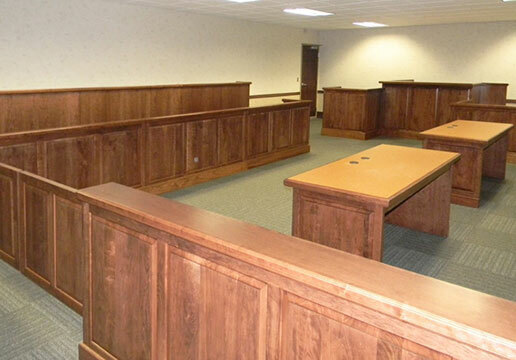 Arnold Contract offers a standard courtroom divider that can be adapted to any courtroom. Most often the rail is hollow and is reinforced with steel stanchions that must be installed to the courtroom floor. Attachment to walls is recommended whenever possible. 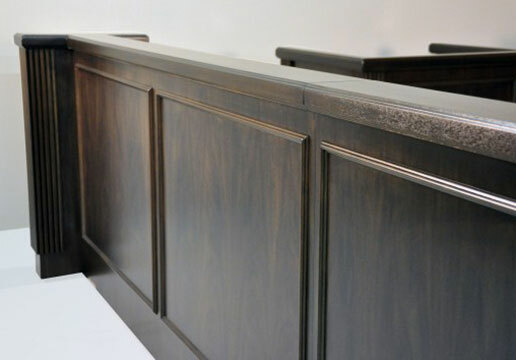 Hinged gates are often attached the courtroom rail.